We take a look at the Scarpa Maestro climbing shoe, an all day, comfortable shoe that still packs performance. At last count a dozen brands were pumping 210 different rock shoes into the U.S. market. 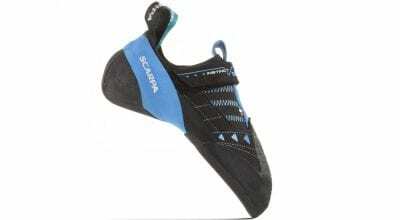 If you are a climber and you want a shoe, deciding what to buy can be maddening enough to send you into group therapy. You can skip the counseling, though, if you desire a comfortable, all-day shoe that can climb face and cracks because options there are limited. I can count on two hands the number of decent all-around “trad” shoes, as most people call them, and I can count on one hand the number worthy of your hard-earned coinage.into group therapy. 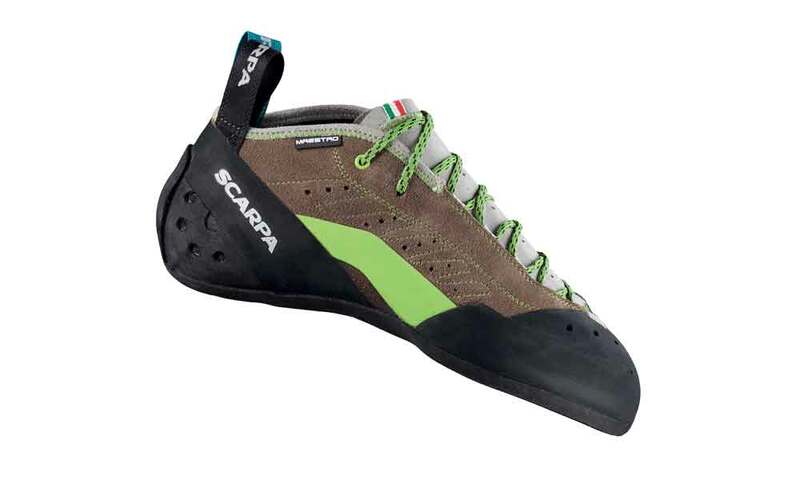 Thanks to Scarpa, the options just increased. Their new Maestro is a multi-purpose tool that many people will compare to La Sportiva’s TC Pro, so let’s get that out of the way. Yes, both the Maestro and TC Pro are for trad, face and long routes, but they take different paths to arrive at their goals—you’d never confuse the two in a police lineup. The Maestro is softer, for one, more touchy-feely, more teched up. 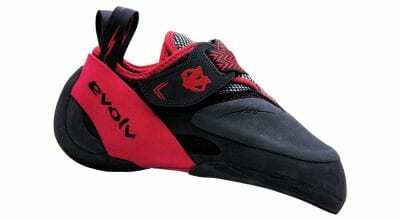 Its slight down-turned toe and pliable heel give it a hint of a sport shoe. Support, which is slightly less than that of the TC, is delivered by a full-length “Talyn” midsole and an “active,” or subtle slingshot, rand. A leather upper is unlined and available in a low or mid-high top. The Maestro may have a touch of aggressiveness, yet it remains comfortable enough to wear for hours straight. In fact, I’m writing this right after climbing 18 routes in the shoes, and I only took them off once to hike in between crags. That I can still walk without gimping tells enough. Technical performance is excellent. The Maestro is a face and crack weapon. It’s stable and supportive on anything tiny you’d like to step on, but isn’t boardy and gives you good tactile feedback—you know when your feet aren’t quite on the holds. The shape of the toe is slightly boxy with upward breathing room, a shape that suits my wide forefoot and hand cracks. Rubber coverage is more than adequate, as there’s rubber seemingly everywhere and especially around the toe. The payoff is, of course, in cracks, where you’ll also want the Mid version to protect your ankle bones. Getting the fit just right with any shoe is critical and more so with unlined versions like the Maestro, which, surprisingly, stretched a full size for me despite all the rubber. Fit the Maestro tight. They’ll loosen up after a day, and performance only improves as the shoe shapes itself to your foot.